Artlink Edinburgh has joined forces with the author and artist behind 2000AD, among others, to create a new Halloween-themed comic book featuring a hero with autism. 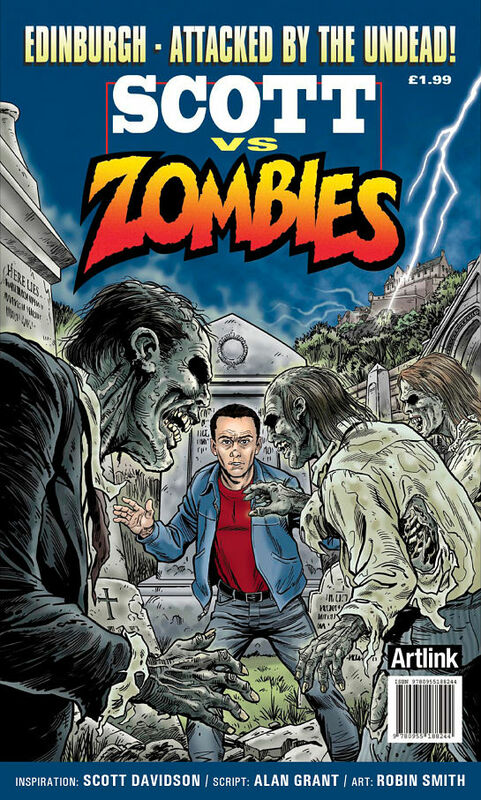 World-renowned writer and artist duo Alan Grant and Robin Smith have designed the comic 'Scott vs Zombies' to communicate the complexities of living with autism, based on the experiences of Scott Davidson, who has the condition. The project was born when Artlink’s project director, Alison Stirling, wrote to author Grant, who is famous for having penned adventures for iconic characters such as Batman and Judge Dredd, to tell him about the concept. Using bullying as a starting point, the comic’s intention is to give a little creative insight into the world of autism. As Stirling explained: "Scott’s not a superhero. He’s in a comic as he is and that’s brilliant." In the spring of last year Scott met with Grant, and the story they came up with established Scott and his mother Liz as the main characters in a zombie comic. In the story, Scott, as in real life, has difficulties understanding who he is in relation to the people around him. He isn't confident about building relationships with people, and can't always read them. It is hard for him to fit in but he is able counter these anxieties by creating a situation in which Scott could take control, using the simple coping mechanisms he has developed - along with some help from an evil wizard and some zombies. Edinburgh City, the Castle, Lothian Road and Princes Street Gardens act as the backdrop to the events that unfold until Scott ultimately saves his mother and the whole of Edinburgh from a dreadful onslaught. Liz Davidson: “Scott has always been obsessed with superheroes and his way of coping with life is he would take on the personality of his heroes. He always believed these kinds of personalities gave him strength. “This was about getting Scott to realise that he was enough in himself to have ?confidence and be special. An online sale of Smith’s signed drawings of this comic to support Artlink’s work with individuals with autism will open on Artlink’s website on December 1 and will close on December 14.